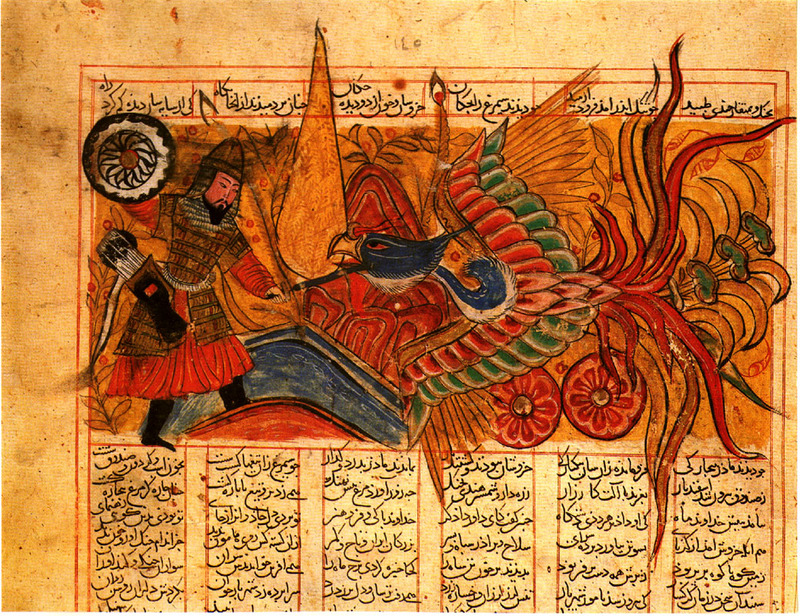 There are very few secular illustrated texts which survive from late Antiquity or Byzantium. 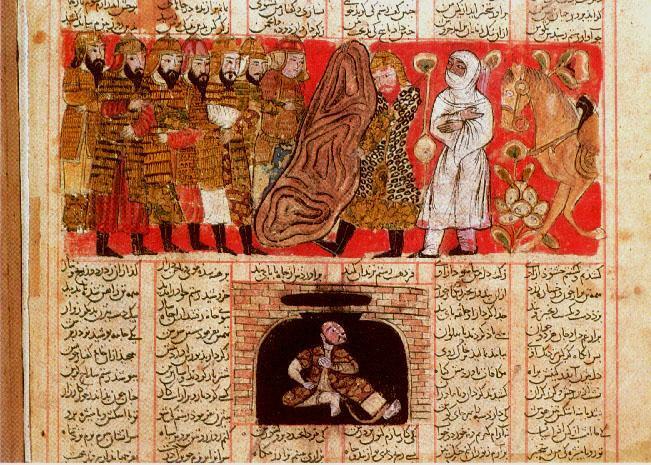 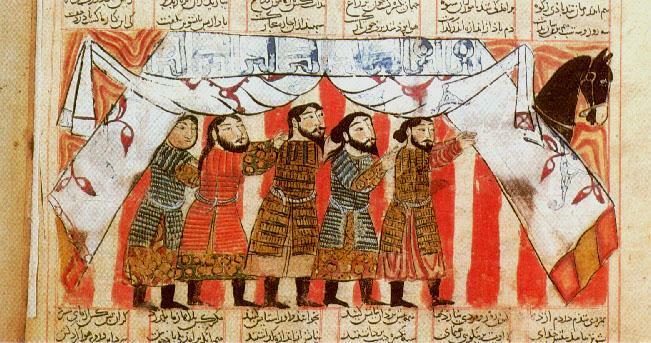 The rise of illustrated secular works under Islam occur in the late 12th and 13th centuries. 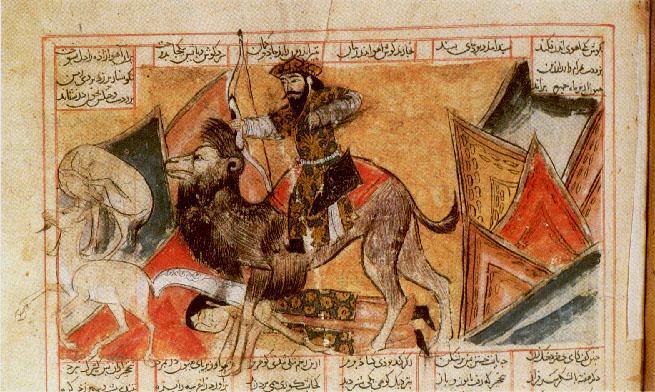 Kalila wa Dimna were the examples of these works that illustrate the appearance of an immensely rich merchant class in the Near East with means and pretensions to ape the rulers. 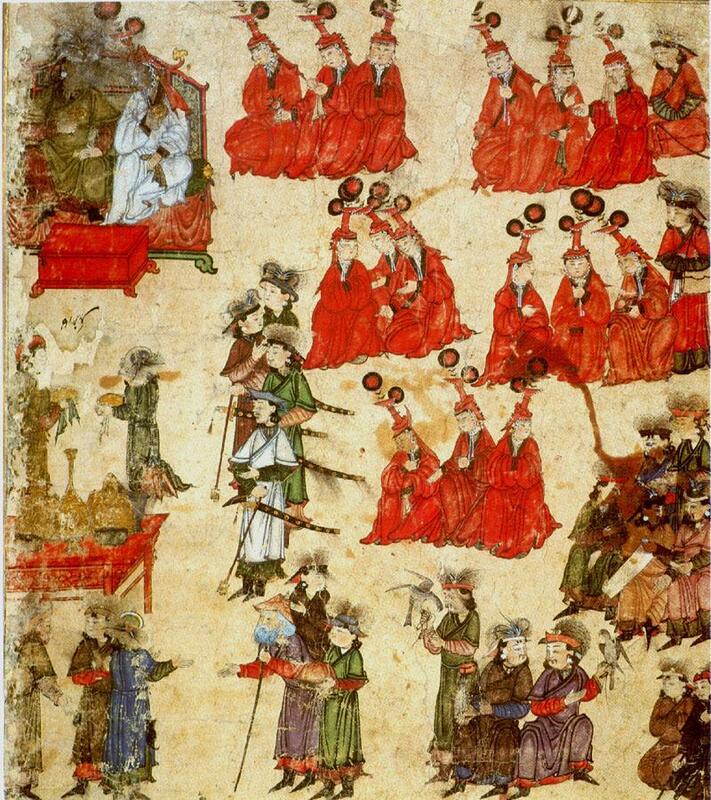 Meanwhile, the Persian paintings were mostly about the pride of the kings and rulers. 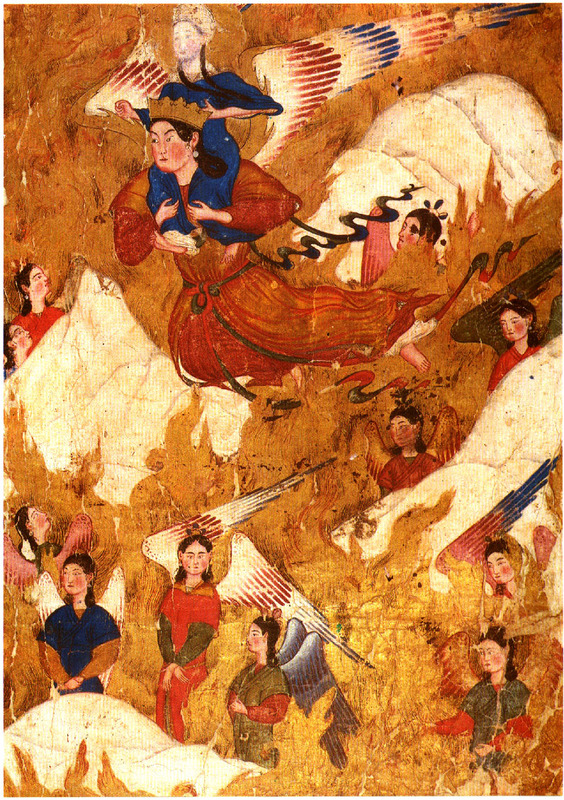 There were also religious Persian paintings which represent the Persian interpretations of Islam. 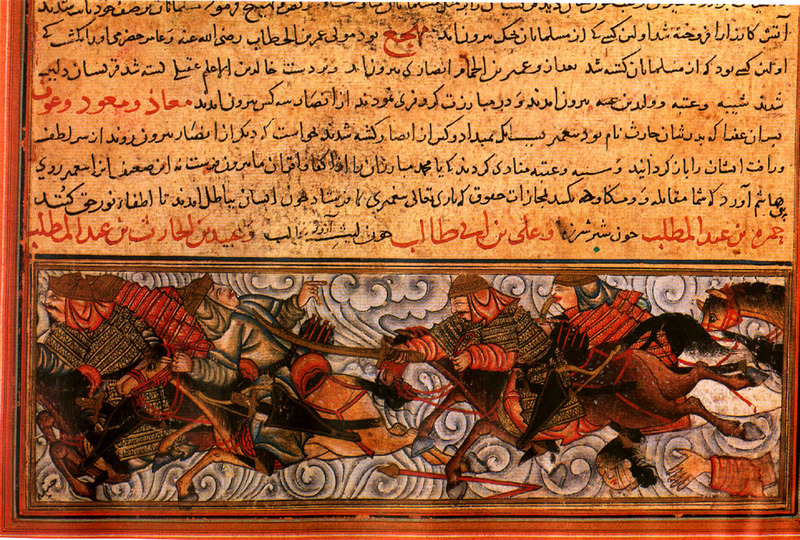 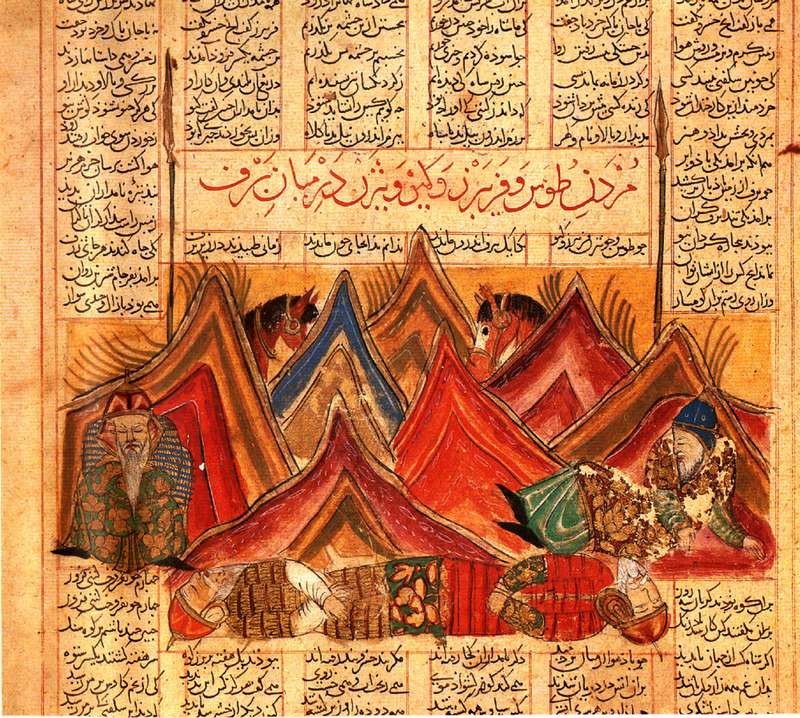 Jami' al-Tawarikh ('Universal History' of Rashid al-din). 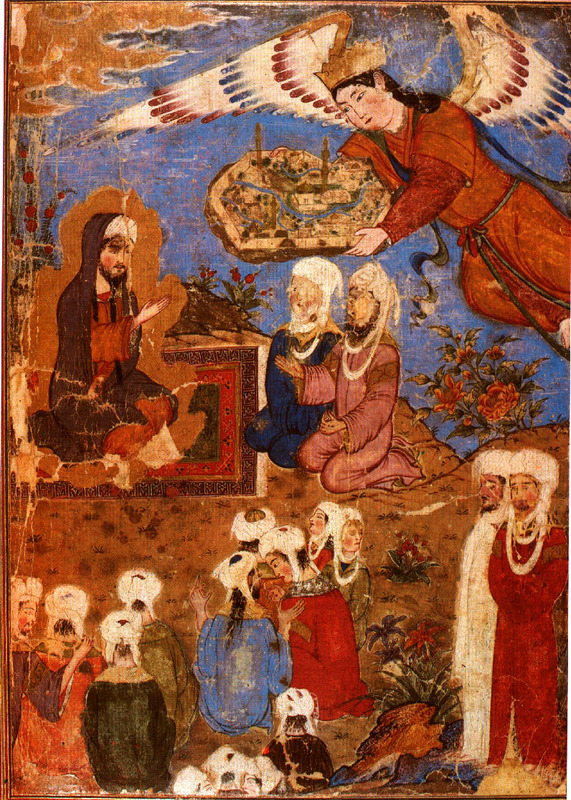 Tabriz, beginning of the 14th century. 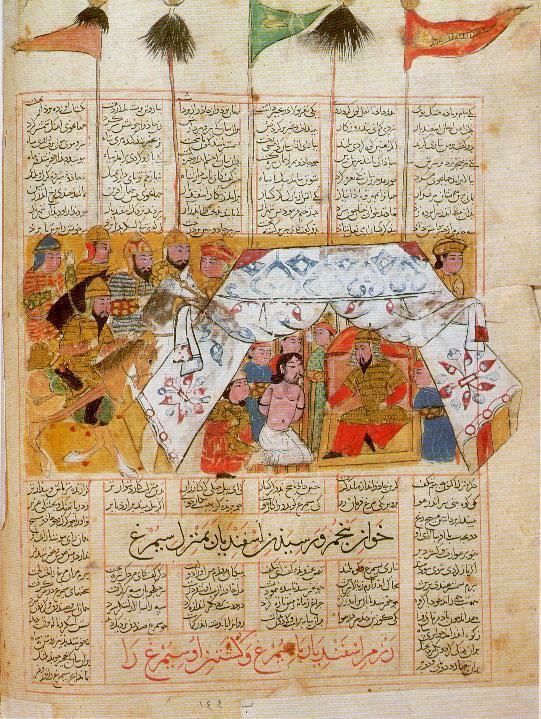 Shah-nama (Firdawsi's 'Book of Kings').